July 2, 2014 Archives - Clarksville Sports Network - Clarksville Tennessee's most trusted source for sports, including Austin Peay State University. Nashville, TN – The Nashville Sounds (46-41) extended their win streak to six games by shutting out the Memphis Redbirds, 5-0, Wednesday night at Greer Stadium, powered by Matt Pagnozzi’s two-homer night and another quality start from Jimmy Nelson. 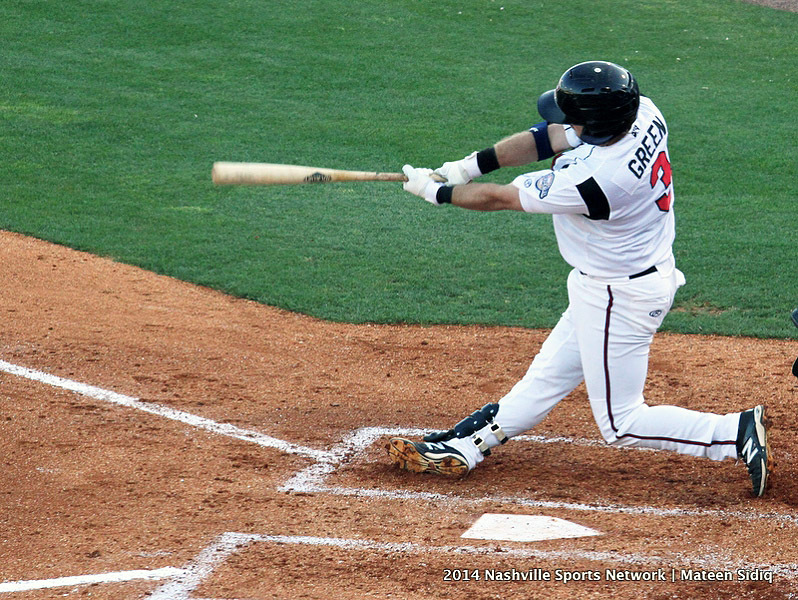 Leading 2-0 in the 4th inning, Pagnozzi added to the Sounds’ lead with a solo home run off the guitar scoreboard. The shot was the 31-year-old catcher’s seventh of the season. 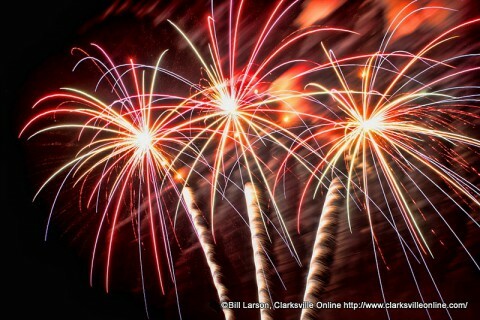 Nashville, TN – On Thursday, July 3rd, the Nashville Sounds will celebrate Independence Day a day early at Greer Stadium. The Sounds take on Memphis Redbirds at 7:00pm (Gates Open at 6:05pm). There will be with a number of events to help fans get into the holiday spirit. The first 2,000 fans to come through the gates will receive a patriotic Sounds T-shirt courtesy of Pandora Jewelry. Celebrate Independence Day with the Nashville Sounds, Thursday, July 3rd. Nashville, Tn – The Nashville Venom of the Professional Indoor Football League will be holding open practices this week as they prepare to take on the Columbus (Ga.) Lions this Saturday, July 5th, 2014 at the Nashville Municipal Auditorium, 417 4th Ave N, Nashville, TN 37201. Practices will be held 6:30pm – 8:00pm Thursday. Coral Springs, Fla – Three Austin Peay State University women’s golfers, graduated senior Rachel Deaton, rising senior Meghan Mueller and rising junior Jessica Cathey, have been named to the Women’s Golf Coaches Association (WGCA) All-American Scholars list. That was announced Tuesday. In total 664 golfers from Division I, II and III were recognized. To earn such honors, announced today with a total of 664 women’s collegiate golfers recognized with this prestigious honor. The criteria for selection to the All-American Scholar Team are some of the most stringent in all of college athletics, including a 3.50 GPA for the year. Clarksville, TN – With a 10-4 record, the Tennessee State University (TSU)Tigers football team won their first postseason game since 1986 last season due in large part to their nationally sixth ranked defense. On that impressive defense terrorizing quarterbacks and earning OVC Defensive Player of the Year honors was former Clarksville Northeast High Eagle, Anthony Bass. Listed at 6’2”, 230 lbs, Bass pounced on offensive players in the back field as the Tigers defensive end for 10 sacks and 14.5 tackles for a loss last season. His impressive junior campaign netted him All OVC First Team honors and also made him one of only six OVC players on the College Football Performance Awards (CFPA) watch list.